Let the Dead Ardours Live! DETLEF W. DÖRRBECKER[e] is an Associate Lecturer in the history of art at Trier University. Currently he is trying hard to get together a study of Blake’s principles of color composition. DAVID V. ERDMAN’S new edition of Blake’s poetry and prose is scheduled for publication in November. A facsimile of The Four Zoas (with commentary), co-edited with Cettina Magno, is in press. ROBERT N. ESSICK is Professor of English at the University of California, Riverside. 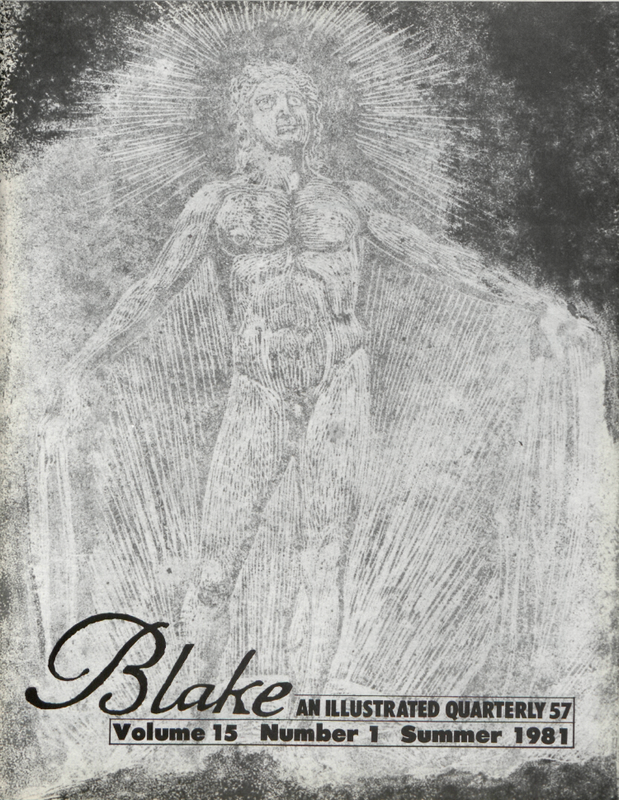 His catalogue of Blake’s separate plates is forthcoming from Princeton Univ. Press. NELSON HILTON’S “Blake in the Chains of Being” should be appearing in the current issue of The Eighteenth Century: Theory and Interpretation. MARTIN K. NURMI teaches at Kent State University. JUDITH PAGE is an Assistant Professor of English at Millsaps College. MORTON D. PALEY is co-author, with Robert N. Essick, of Robert Blair’s The Grave with the Illustrations of William Blake: a Study with Facsimile (London: Scolar Press, 1981). HENRY SUMMERFIELD teaches English at the University of Victoria, B. C., and is the author of That Myriad-minded Man: A Biography of George William Russell “A.E.” and An Introductory Guide to The Anathemata and the Sleeping Lord Sequence of David Jones. JOSEPH WITTREICH (Professor of English at the University of Maryland, College Park) is the author of Angel of Apocalypse and Visionary Poetics. DAVID WORRALL teaches in Newcastle Upon Tyne. 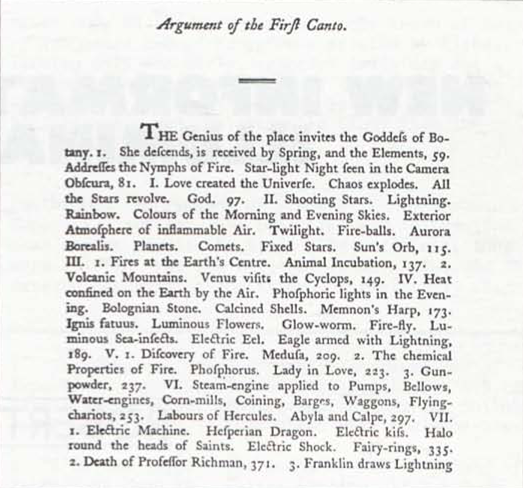 His article on Blake’s imagery of the stars will be appearing in Bulletin of Research in the Humanities. Cover: Milton, pl. 13. Separate impression, previously unrecorded. White-line etching, 15.9 × 11.1 cm., second state, printed in three colors. Philadelphia Museum of Art. Notes, The Economy of Vegetation. 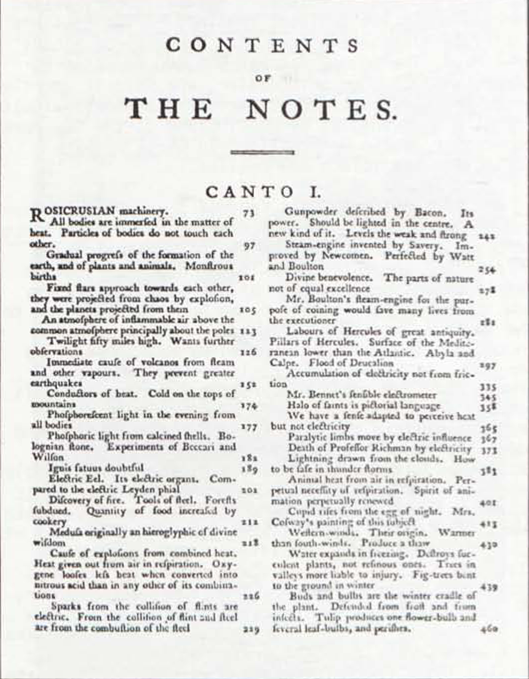 The Economy of Vegetation, Canto I. EDITORIAL ASSISTANT IN CHARGE: Susan Corban, Univ. of New Mexico. EDITORIAL ASSISTANTS: Pam Blair, Wayne Erickson, Wendy Jones, Kris Lackey, James Warwick, Univ. of New Mexico. SUBSCRIPTIONS are $15.00 for 1 year, 1 volume, 4 issues. Special rates for individuals, $12.00, surface mail. Air mail subscriptions are $10.00 more than surface mail subscriptions. U.S. currency or international money order if possible. Make checks payable to Blake/An Illustrated Quarterly. Address all subscription orders & related communications to the Circulation Mgr., Susan Corban, Blake, Dept. of English, Univ. of New Mexico, Albuquerque New Mexico 87131 USA. MANUSCRIPTS are welcome. Send two copies, typed and documented according to the forms suggested in the MLA Style Sheet, 2nd ed., to either of the editors: Morris Eaves, Dept. of English, Univ. of New Mexico, Albuquerque N.M. 87131; Morton D. Paley, Dept. of English, Univ. of California Berkeley, California 94720.